Been drinking MILO® for decades, it's the taste that makes people addicted to it. I really, really love drinking MILO®, totally enjoyed it to bits! 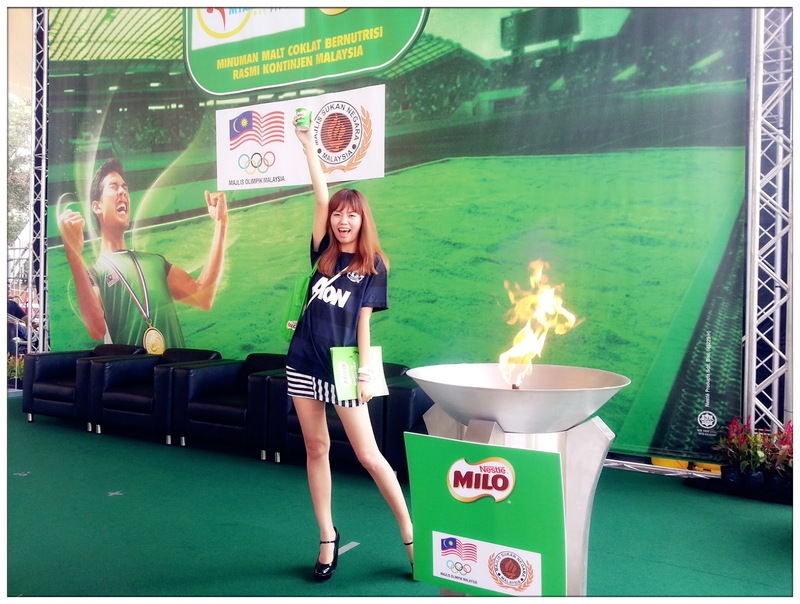 What's unexpected is I got invited to witness one of the big campaign launch ceremony hosted by MILO® and Olympic Council of Malaysia (OCM) last week and it really, really was my pleasure to be there. 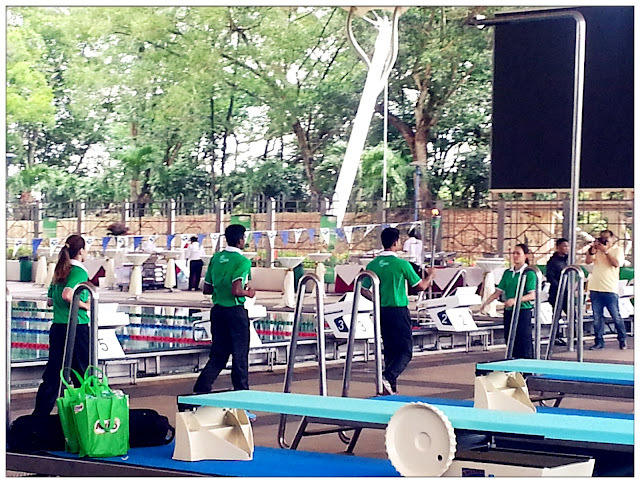 And also, it was my first time visit the National Aquatic Centre! 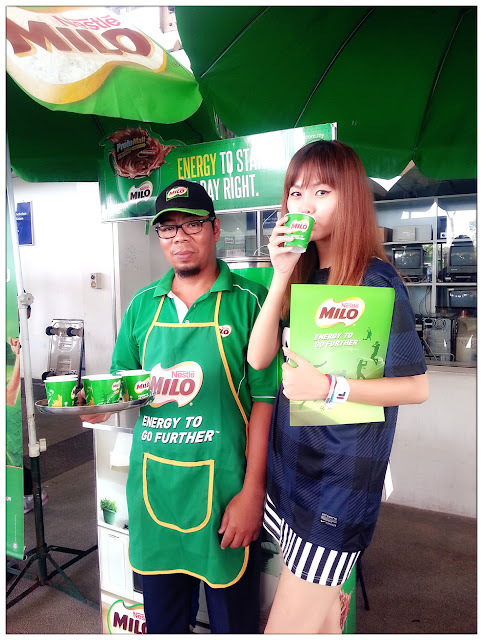 Milo Fuel For Champions campaign! I'm getting all hype up that day. Not knowing which way to go, I blindly follow the MILO® banners and when I finally reach the ceremony location, it was held at the pool side. Such spacious place and amazing view. I was wondering why do I not think of this place when I'm finding a good place for a swim. Not long after my arrival, here comes YB. Mr. Khairy Jamaluddin, Malaysia's Minister of Youth and Sports, Region Head of Nestlé Malaysia Mr. Alois Hofbauer and other VIPs. VIPs were seated beside the pool, looking back at us. Mr. Alois Hofbauer giving an opening speech. 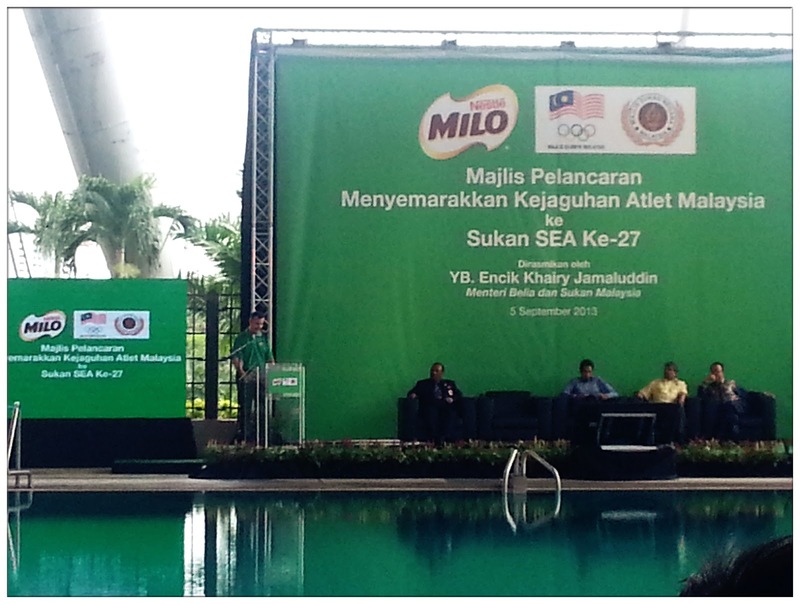 "MILO® and Olympic Council of Malaysia has played a major role in development of Malaysia's sporting arena, focussing on junior and grassroots sports, reaching out to children of all walks of life throughout the country." said Mr. Alois Hofbauer. Yes, MILO® is always around us during our school's sports day or events, with their MILO® truck and yummylicious unlimited supply of MILO® that gives energy to us during exercise. Aligned with Olympic Council of Malaysia's objectives in sporting arena of our country, MILO® is always nurturing and developing nation's young and talented athletes in many ways, guiding them to success in the sports field of international level. The first step to international games will be the SEA games and this year, to support Malaysia's athletes at the international level, comes the campaign MILO® "Fuel For Champions" to support Malaysia contingent as out national athletes strive to make Malaysia proud! Next, is the speech by YB. Mr. Khairy, our Minister of Youth and Sports. 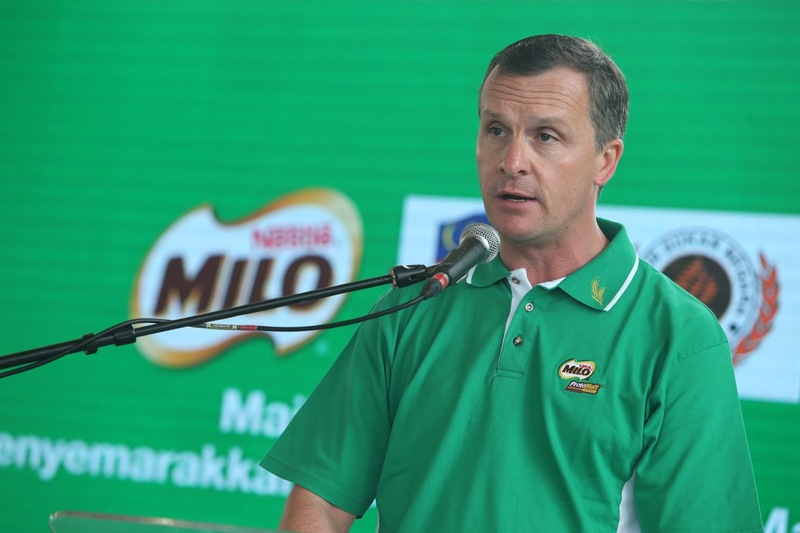 “MILO® has played such an integral role in Malaysia’s sporting arena by nurturing and developing the nation’s young talent,” he said. 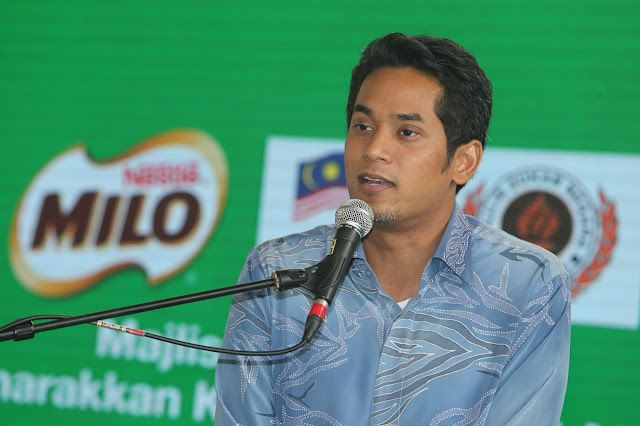 “The commitment from MILO® in driving the nation’s young athletes to greater heights is truly inspirational,” Mr. Khairy further added. 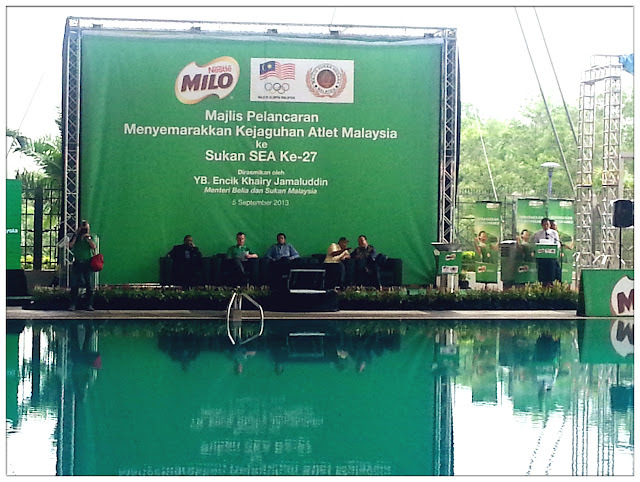 After their speech, here starts the official launch of MILO® Fuel For Champions Campaign. Torch Relay happening right in front. Presented by Yong Shin Min (National Basketball Team), S. Kannathasan (National Relay Runner), Muhammad Hakimi Ismail (National Triple Jump Athlete) and Khoo Cai Lin (National Swimmer) who will be representing Malaysia in the 27th SEA Games in Myanmar. This is the first time I see this LIVE! Mr. Alois Hofbauer passed the torch to YB. 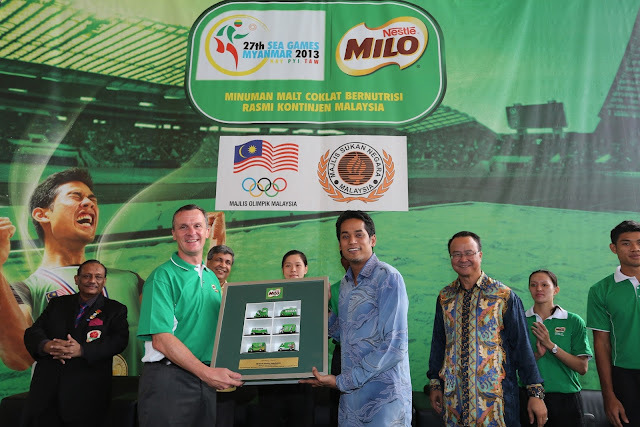 Mr. Khairy official launches MILO® Fuel For Champions campaign. Many first time experiences for attending this ceremony. My first time visit National Aquatic Centre, first time witnessing a launch ceremony with torch relay, and also, below is one of my favourite sports that I watch - Synchronized swimming, performed to us live by the young gymnasts. Enjoyed their performance so much! 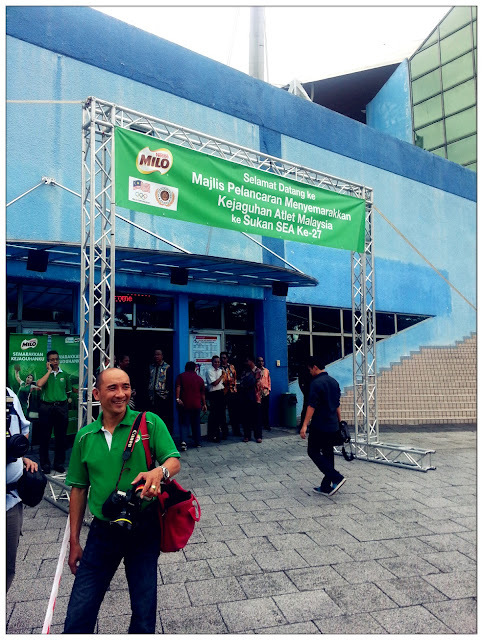 How can a MILO® event go on without MILO® booth around right? As mentioned above, MILO® will be the official Nutritious Chocolate Malt beverage of the Malaysian Contingent for the 27th SEA Games in Myanmer. This is more than just a one-time sponsorship, MILO® aims to empower and energise young sport talents to strive for success in the early stage of their lives as well as to inspire parents to encourage their children to participate in sports from young. Thank you MILO® for always being with us. Are you ready to support Malaysia team in this coming 27th SEA Games? I surely do! Disclaimer: This sponsored post is by Nestlé.